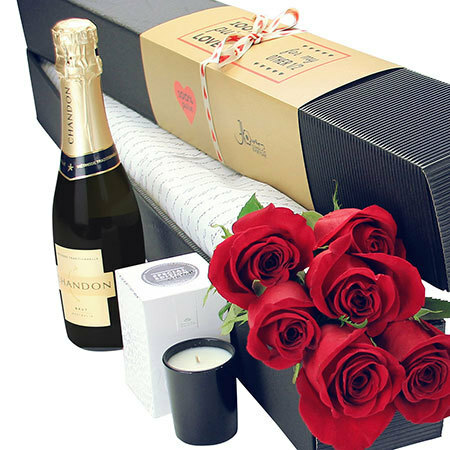 Spoil your number one for Valentines 2017 and deliver 6 red roses elegantly nestled in our stylish rose presentation box, accompanied by a superb box of chocolate truffles and a 750ml bottle of Chandon sparkling wine. 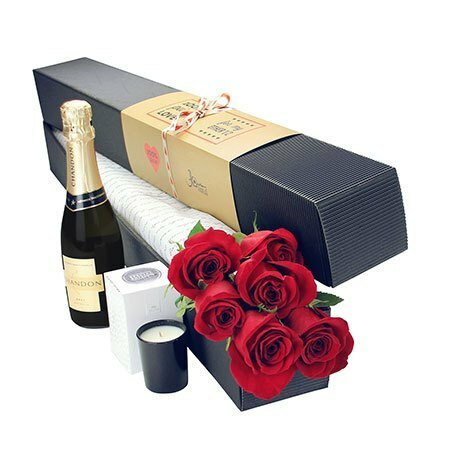 The combination of roses, bubbles and chocolates are simply the bomb when it comes to Valentines Day surprises! 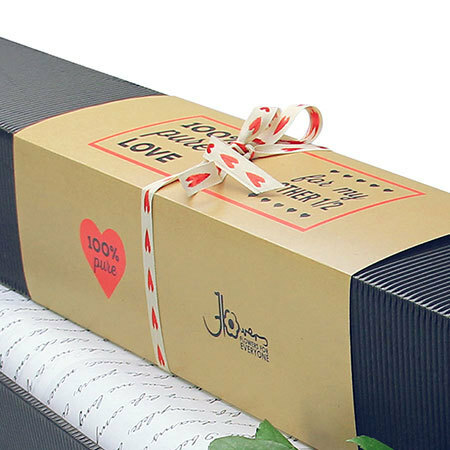 And these 12 premium Belgian-style assorted chocolate truffles, handmade in Australia from top quality couverture chocolate, are just the thing to enjoy with a glass of sparkling wine for a romantic night in to celebrate your love!